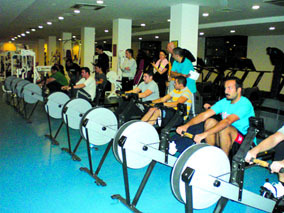 Compete in Bilkent's annual "Spring Fitness Challenge"! The challenge begins on February 28 and runs through April 3, and will be held at the Student Dormitories Sports Hall. It is open to all students and academic staff. 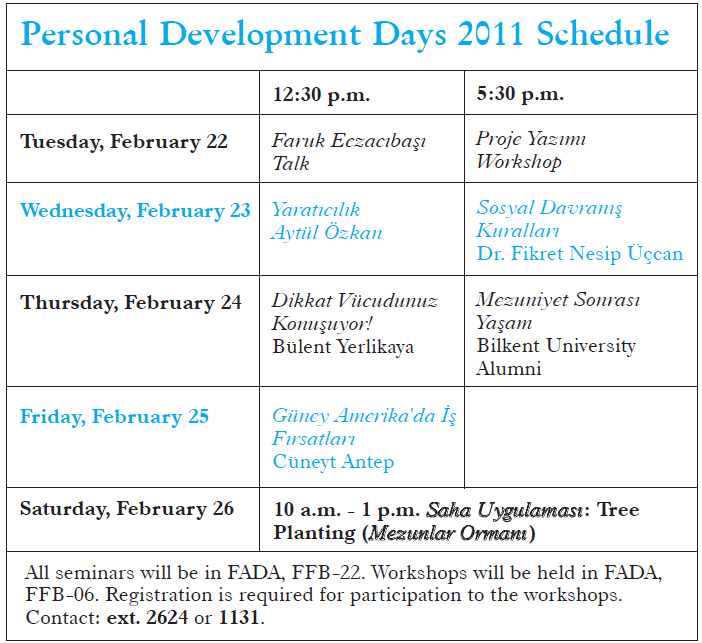 Participants can do, at most, two different activities in one day. A participant will get 5 points for each activity, each day that it is done. Participants are to work out at least two times and, at most, five times per week. Participants who have accumulated 150 points or more by the end of the challenge will receive special T-shirts. The three male and three female participants with the most points will receive medals. All participants will have a chance to win special gifts at the end of the challenge. Registration continues until March 1.